LOS ANGELES -- The first case of sexually transmitted Zika infection has been confirmed in Los Angeles County. Los Angeles County Department of Public Health officials said a man was infected, possibly while traveling in Mexico in early November. His female partner, who did not travel there, became infected after he returned. Zika is of particular concern for pregnant women as it can cause birth defects. Condoms can prevent the sexual transmission of the virus. There have been no cases of Zika transmitted by local mosquitoes in Los Angeles County, health officials said. Since 2015, there have been 122 cases of Zika infection reported in the county, out of which 121 have been acquired from the bite of an infected mosquito during travel to areas where Zika is occurring. According to health officials, transmission of Zika virus is still ongoing in Mexico, Latin America and other regions of the world. 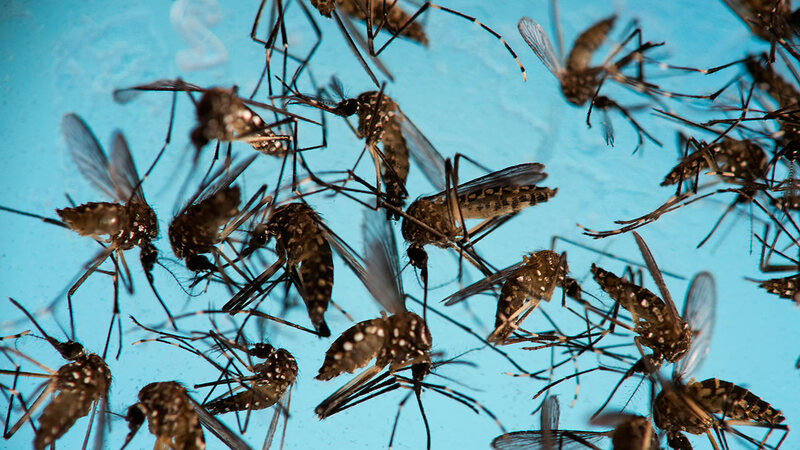 Travelers should take precautions against Zika during travel by avoiding mosquito bites including using Environmental Protection Agency approved mosquito repellant and wearing long sleeves and pants, and for 3 weeks after returning to prevent infecting local mosquitoes. Symptoms of Zika are fever, joint pain, rash, red eyes and muscle pain beginning 3-7 days after being infected. Illness is usually mild with symptoms lasting up to a week. Most people who are infected have no symptoms at all. People are rarely hospitalized or die from this disease. Aedeses mosquitoes, the mosquitoes that can carry Zika, have been found in many areas of Los Angeles County. People can reduce the spread of Aedeses mosquitoes by eliminating all sources of standing water around their homes where mosquitoes can breed, including flower pot saucers, old tires and buckets. Mosquito problems can be reported to local vector control districts. For more information on Zika virus, visit: www.publichealth.lacounty.gov.